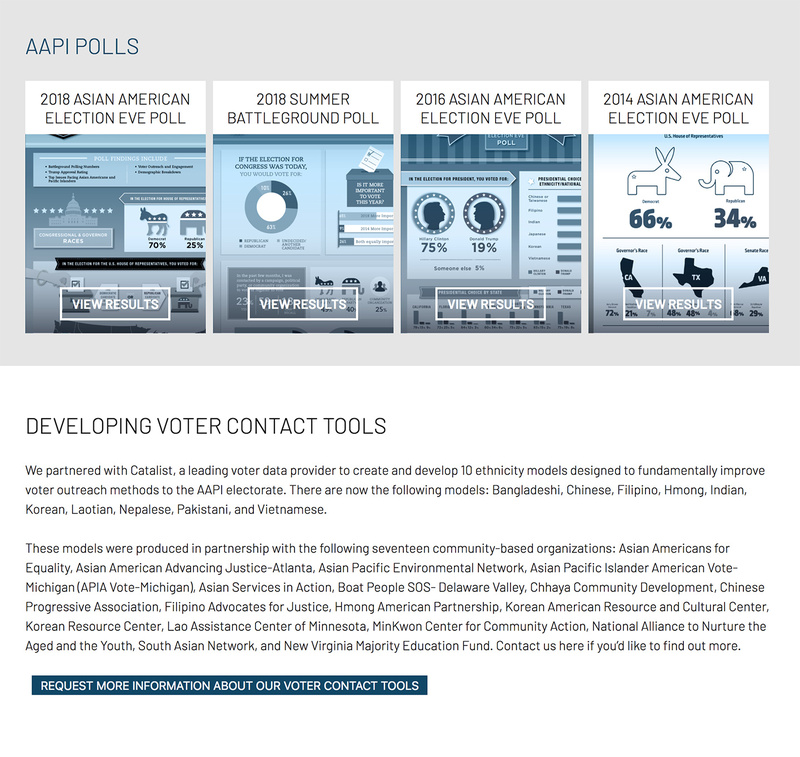 AAPI fosters a culture of civic participation within Asian American and Pacific Islander communities by supporting the growth of AAPI groups as organizational movement and power building leaders that achieve specific policy, systems, and transformational change. 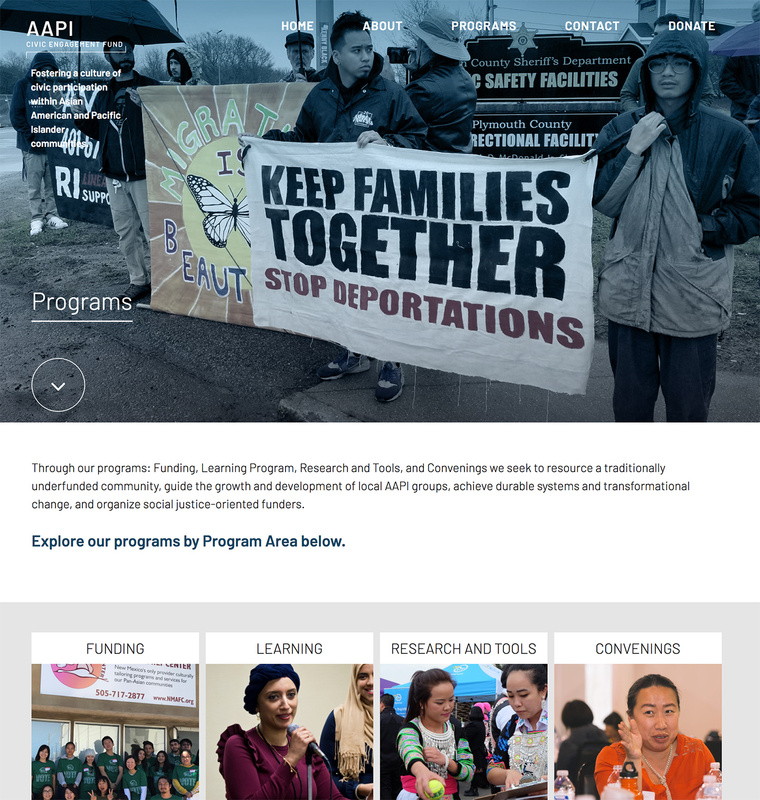 The Asian Americans and Pacific Islanders Civic Engagement Fund reached out to Social Ink for an overhaul of their visual identity and website. Their new platform establishes a new visual impression for the organization and serves as a organizing and communications tool, serving member organizations, individual activists, and press and media covering their research and actions. 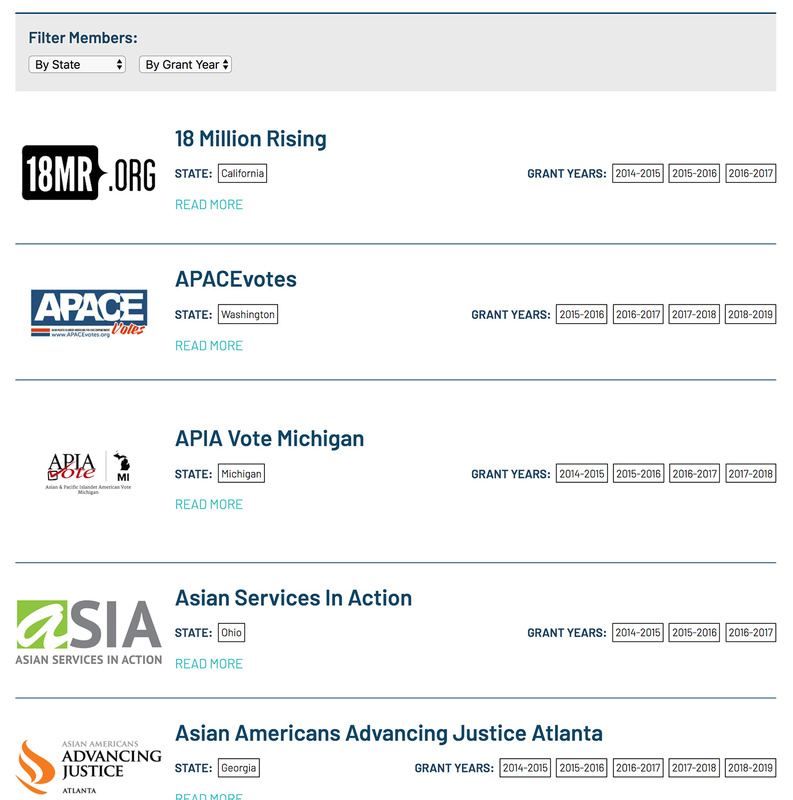 Top-line items for the project include featured member organizations, complete with a filter-able member directory and the ability to toggle member status, shared resources that require email newsletter signup and integration, art direction and photography consulting, as well as logo design and visual identity guidelines. The new site is responsive across various displays, screens, and phones and has made managing members streamlined and efficient task for staff. We’re thrilled to continue our work building websites for community-building nonprofits, organizing funds, and progressive organizations!